Salamanders carry a history rich in magic, mystery and myth, but it’s the creatures’ ongoing tale of adaptability and resilience which is truly unmatched. Found on every continent except Antarctica, impressive habitat ranges and species-specific adaptations demonstrate remarkable variation among differing salamander families. Whether discussing the fully aquatic giant salamander, the terrestrial tiger salamander, or the fascinating Iranian harlequin newt which is able to survive in an arid environment seemingly ill-suited for amphibians, the “Living Wild” title delivers astounding amounts of scientific research and highlights extraordinary traits of salamanders, such as the ability of lungless salamanders to “breathe” through their skin, the existence of “macrophages” which allow salamanders to regrow damaged party parts, and the impressive century-long lifespan of sightless cave-dwelling salamanders. As some of the oldest land animals whose remarkable abilities have been observed and recorded by humans dating back over 2,000 years, it is no surprise that salamanders have been the focus of fables, philosophical writings, and are even found in popular fantasy titles known to today’s young readers. With the turn of every page, readers will be immersed in captivating text, bonus sidebar information, and excellent visuals which include vivid photographs, supporting maps, and entertaining folklore examples. 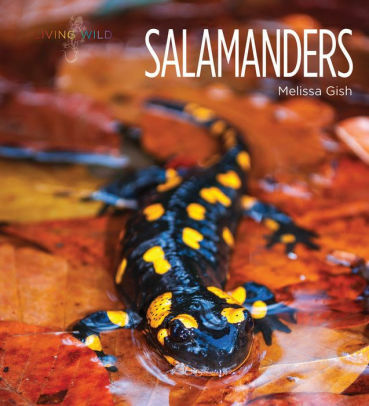 The title is a rare, refreshing read with the ability to appeal to an advanced reader audience which has been largely ignored on the noteworthy topic of salamanders. Children’s Literature is a division of CLCD, LLC. Featured Article-How Will You Love Our Planet on Earth Day?